Shows how political argument regarding rights and natural rights began in medieval Europe and how the theory of natural rights was developed in the 17th century. 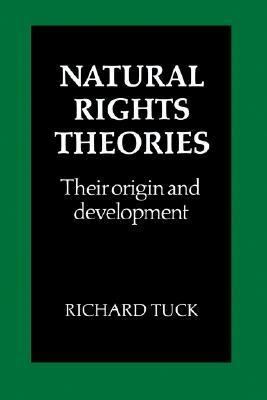 Examines the importance of Jean Gerson and Hugo Grotius to the formation and development of the theories and ideas of Selden, Hobbes, and Locke.Tuck, Richard is the author of 'Natural Rights Theories' with ISBN 9780521285094 and ISBN 0521285097. Loading marketplace prices 93 copies from $17.53 How does the rental process work?